An easily accessible waterfall and pool, but not a standout. In a nutshell: An easily accessible waterfall and pool. 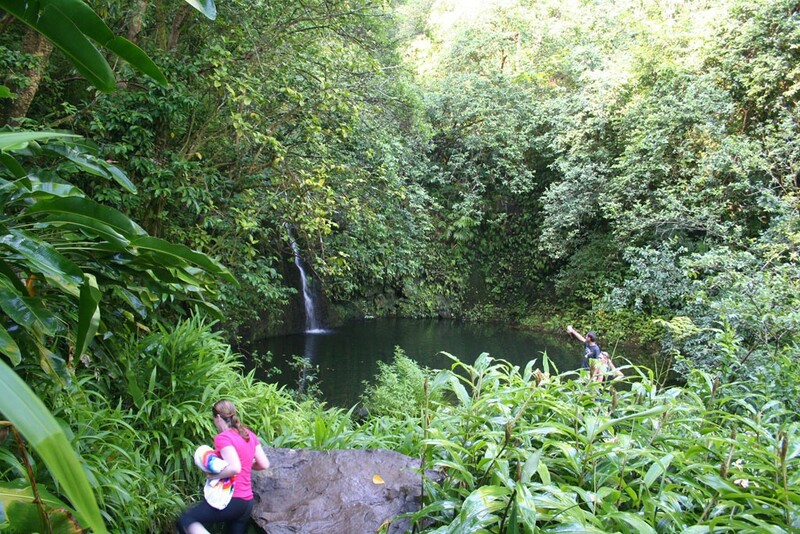 A pool suitable for swimming and a small waterfall are what lie a shot stroll from the road. While it is nothing spectacular, it is still a refreshing place to take a dip. If you need a place to stretch your legs, you certainly won’t be disappointed doing it here. There is a much larger second set of falls that can be quite impressive, however getting to them is sketchy to say the least. I couldn’t advise anyone to take the trail, as it requires passing along a muddy portion as wide as your foot, with nothing to hold on to. A small shift in the dirt below under your weight (or just a short slide on the mud) would result in severe injury (or worse.) Skip that, you have equals down the road.